Austria is a landlocked country in the centre of Europe with an area of nearly 84,000 square kilometers. Its official name is Republic of Austria and more than 8.7 million people live there. The main official language is German and the Capital is Vienna, which is also the largest city. It is bordered by the Czech Republic, Germany, Hungary, Slovakia, Slovenia, Italy, Switzerland and Liechtenstein. Because of its name it is often assumed that it is near to Australia or is confused with it. Actually the two countries do not have a lot in common and are even located on oppositional sides of the globe. Austria is especially known for its many skiing regions, as it is a very mountainous country. Snowboarding and downhill skiing still enjoy great popularity and attract lots of tourists every year. But also cross-country skiing is a nice amusement, mainly to enjoy the beautiful nature. Because of the glaciers there is always snow until early summer, so winter sports can even be done off-season. The impressive national parks invite to relax and forget about the strenuous daily routine. The union with untouched nature can remove much tension of the body and give new energy. In combination with a spa vacation at one of the many superior hotels it is a great chance to give yourself a treat. During Christmas season the special markets are worth a trip. All the bigger cities like Salzburg, Vienna or Linz do have one in December. The tasty delicacies and handmade small presents are an annual highlight and the beautiful lights and vintage spirit guarantee a romantic atmosphere. In the warmer seasons Austria is a great place for hiking and biking. There are lots of trails and the many mountains and beautiful lakes represent the perfect designation. The overwhelming view from the top of the Alps is an unforgettable experience, as well as the bath in an idyllic, paradisiacal natural lake. Furthermore there are lots of historic sites to discover. The gorgeous Old Towns of Vienna, Salzburg and Graz all belong to the UNESCO world cultural heritage. Besides, the numerous pompous castles are well worth seeing. The most popular ones are Schönbrunn, Belvedere and Esterházy, but there are several more to visit. On top of that Austria has many old churches and cloisters with an impressive history to view. If the historic appetite is not appeased yet here, there are also many museums to visit. Additionally, Austria of course also has some extravagant tourist features. The Swarovski Crystal World, the Spanish Riding School and the cultural area Dachstein/Salzkammergut are just a few examples for one-of-a-kind day trips. Austria is furthermore characterized by the music that takes on an important role in the whole country. Some of the greatest composers of all time lived and worked there, the most famous one is probably Wolfgang Amadeus Mozart. His birthplace was made into a museum and can be visited in Salzburg. Apart from the lasting celebration of classical music, there are lots of events and festivities in electronic music, folk music, jazz and operettas. The broad spectrum offers the right show for every taste. Moreover, the Austrian musical film The Sound of Music from 1965 is legendary in the USA and influenced the international image of Austria remarkably. Salzburg as the main location now reacted to the big demand for special tourist features and offers thematic activities. Even architecture fans get their money’s worth in Austria. The spectacular mixture of imperial magnificent buildings, art nouveau buildings, modern glass constructions and innovative wood projects is sensational. Every state has its own individual characteristics and personal highlights. On top of that Austria is a general cultural stronghold. 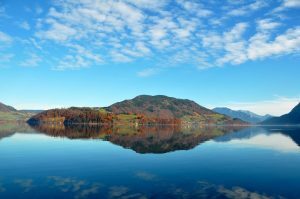 The Bregenz and Salzburg Festivals are a must-see, but there is a great deal of other festivals scattered across the whole country. And the admission charges for cultural events are very cheap compared to those of other countries. Every time of the year has its special occasions, the offer is always huge. What features characterize Austria and its population? 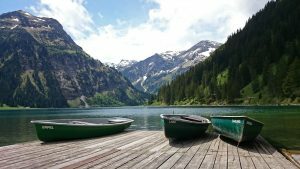 Austria is generally considered as good, peaceful, clean, progressive and open-minded place and that is in fact how it really is. Furthermore it is safe and tidy. It unites different extremes like tradition and innovation, serenity and action, or history and modernity. Visitors are always cordially welcome and gladly included. The pretty traditional costumes Dirndl and Lederhosen ensure international attention and have lots of fans from other countries. Also the special culinary goods like beer, Mozart balls, Sacher torte, Wiener schnitzel and apple strudel all are widely known and popular. But it is important to keep in mind that Austria is more than just a beautiful mountainous landscape, classical music, beer, lederhosen, yodeling, the location of The Sound of Music and the birthplace of Arnold Schwarzenegger. It is a many-sided, modern and welcoming country that enjoys a lot of advantages. The variety makes Austria to the perfect vacation destination. When you are planning to get there it is good to know the particular peculiarities of Austrian people. For example they are always punctual and really like smoking and drinking coffee and beer. Furthermore the meals mostly contain milk, so you better watch out if you suffer from a lactose intolerance. Pork and potatoes are other highly favored ingredients. Austrians are clean, tidy and polite, so you better keep your mind on your manners. Sports play an important role for them, especially winter sports, as well as the Catholic Church and its values. Moreover it is beneficial to know that Austrian German is not identical with German. There are certain deviations you should be aware of, for example when it comes to the names of fruits or vegetables.